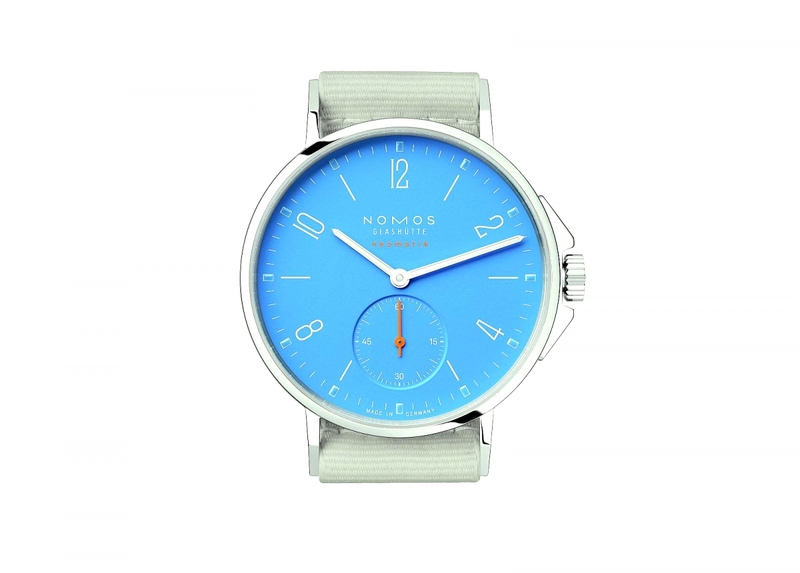 Nomos Glashütte’s Bahaus-inspired designs are known for their somewhat monochromatic colour schemes. 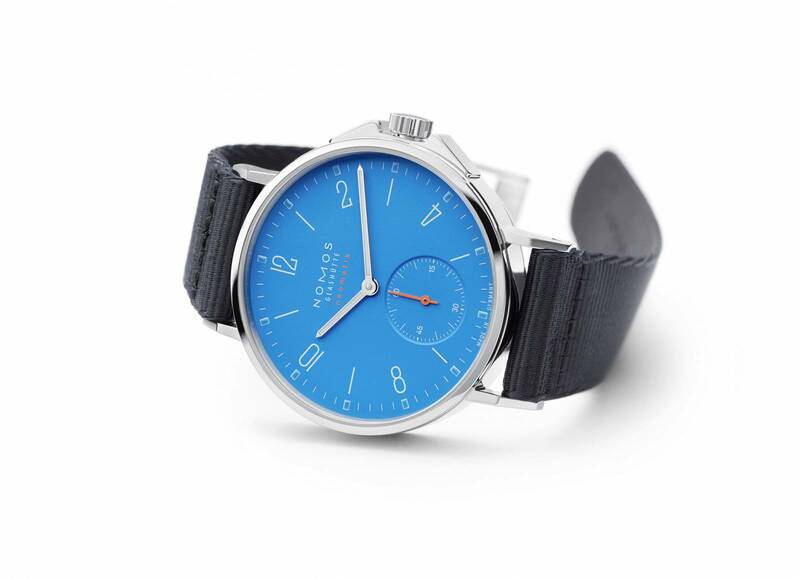 However, their latest timepiece, the Nomos Ahoi Neomatik – part of their new ‘Aqua’ range – brings a vibrant dash of colour to the German manufacturer’s popular dive watch. 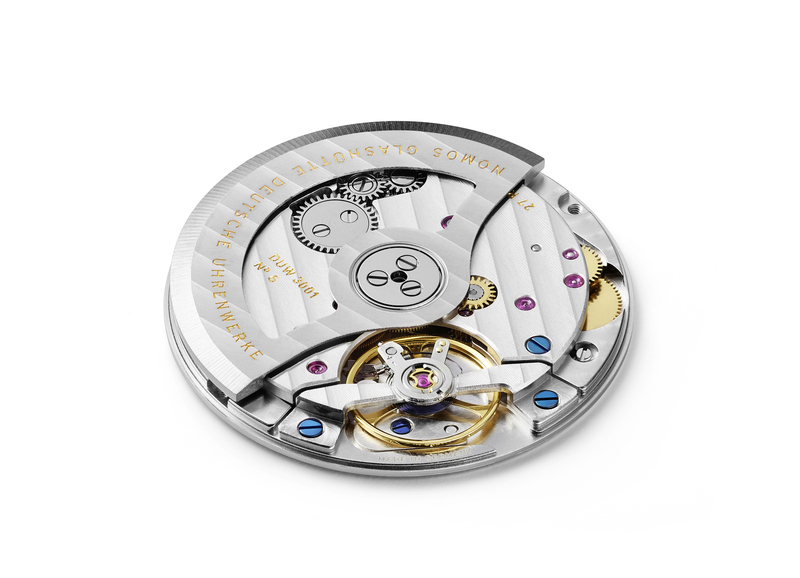 If you’re after a mechanical timepiece – whether manual-wind or automatic – chances are you’re looking to go Swiss. However, Germany has an equally proud history of horological mastery, with the small Saxony town of Glashütte considered to be the birthplace of the country’s watchmaking industry. Nomos are a relatively recent addition to that illustrious heritage (the company was founded in 1990) but, in a short space of time, it has built a reputation for quality craftsmanship, including the production of its own in-house movements. The original Ahoi dive watch was launched back in 2013 with a manual-wind movement. Now though, the new Nomos Ahoi Neomatik gets the firm’s super-slim DUW 3001 automatic calibre, complete with a 42-hour power reserve and Nomos’ proprietary swing system design. Aesthetically, there are two big differences between the Ahoi Neomatik and its standard sibling. The most obvious is newly-coloured dial, available in two eye-catching hues: Signalblau and Signalrot. That’s Signal Blue or Signal Red for the non-Germanophones among us. The inset second counter also gets a bright orange hand, with the same colour used for a small ‘Neomatik’ graphic (denoting this watch’s automatic movement) just below the Nomos signature. The other change to the Ahoi design for the new Neomatik version is the introduction of a smaller 36mm case (down 4mm over the original timepiece), giving the watch a more classic size that helps it to wear well on all wrist sizes. While its striking style may be what wins you over to the Nomos Ahoi Neomatik, it has been designed – in typically Germanic style – to serve its original purpose as a dive watch too. The case back, complete with sapphire crystal display, using a screw-down design to stop water seeping in, providing a depth rating of 200m. There’s also a crown guard and Nomos’ usual leather strap has been switched out for a woven waterproof item, allowing you to put your Ahoi Neomatic to the ultimate underwater test, if you can stop staring at it, of course.